Duke is a name we’ve loved for a while now. Colt grew up watching old westerns and John Wayne, whose nickname, Duke, was given to him as a young child, but stuck with him throughout his career. Also, we have a great respect for Duke Ellington, a composer, conductor, and pianist. He is said to be the one who elevated jazz into an art form on the same level as other traditional genres of music. He is responsible for creating a new and distinct sound in Western music. 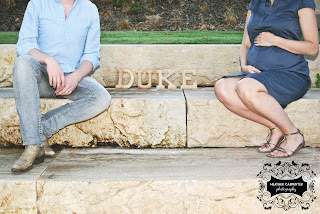 Musician or not, we hope our son, Duke, will take what’s been done a million times before and add something new to it. We didn’t personally know anyone by the name of Duke until Brad and Mirela, some good friends of ours, introduced us to one of their friends in Portland named Duke. After meeting him and putting a face with the name, our decision was made. Our first son would be Duke! The name “Abraham” has a much longer story. Colt and I began dating our junior year in college. The week of our first date was also the week of Colt’s first heart surgery; something I prayed wouldn’t have to happen again. However, in October of 2007, we found out Colt would need his second heart surgery that next March. Dealing with all of this was incredibly hard. It seemed that the Lord kept bringing the story of Abraham to my mind and heart. 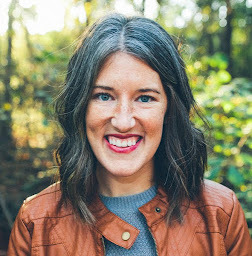 On September 30th, 2007, my mom reminded me of the story about God testing Abraham. He was willing to sacrifice Isaac, his son, as God had asked, but God allowed Isaac to be spared. I decided to read more on that story. It wasn’t necessarily that God wanted the sacrifice of a human. He wanted the sacrifice of Isaac in Abraham’s heart so He could see that Abraham loved Him more than he loved his son. I talked with my mom later and told her that Colt and I had discussed that Abraham would be a great name for a son one day. She told me that morning she was thinking the same thing. At that moment, I felt like that name – Abraham – encompassed God’s promise to Colt and to me. Of course, I wanted Colt’s heart to be miraculously healed and, of course, I didn’t want him to undergo either of the two surgeries he experienced. Some would say God didn’t answer my prayers of healing Colt’s heart. That’s what I thought for a long time. However, Colt quickly reminded me each time I doubted that he was healed. He was healed by the hands of intelligent and skilled doctors. God didn’t answer my prayer in the way I wanted it to be answered, but He still answered it. We’ve known that another few surgeries are in the cards for Colt. So far, we’ve gone back every year for a check-up and Colt’s valve has been functioning very well. He’s definitely done his part by staying healthy and continuing to run, but our bodies are so temporary. We can’t overlook the fact that God has done his part and is ultimately in control. So, here we are, almost 4 years later, giving the middle name of Abraham to our first son. Colt and I have so much to be thankful for. Our son, Duke, and the name Abraham will forever remind us of God’s faithfulness and promise to us. 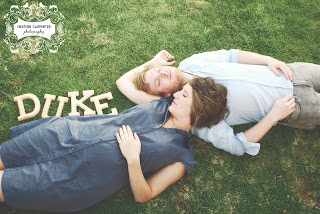 I'm so excited for you, Colt & Duke! Love and miss you! *Tears...* So beautiful. I already love Duke and he'll be a blessing to all the people around him.